The Oscar-winning screenwriter behind Pulp Fiction has been charged with manslaughter in connection with a fatal traffic collision earlier this year. Roger Avary, 42, who teamed up with Quentin Tarantino for the 1994 cult gangster movie, the pinnacle of Tarantino’s work so far, was in court on Friday. Avary was involved in a horrific car smash in January for which he faces charges of gross vehicular mansluaghter. The incident killed his passenger Andreas Zini and injured the writer’s wife who went on to make a full recovery. Pleading not gulity to the manslaughter charge Avary also faces two felony counts of casuing bodily injury while intoxicated, the maximum custodial sentence for which is 11 years. A pre-trial conference has been set for 20 February next year in Ventura. As well as co-writing Pulp Fiction, Avary recently worked on last year’s animated epic Beowulf, which was based on an Old English epic hero poem of unknown authorship. Avary also adapted many of Bret Easton-Ellis‘ pieces for the big screen and even directed a handful of them. Are there any screenwriters out there ambitious enough, who believe they have the talent, to pen the next Pulp Fiction? Has anyone got any examples of their work? The Scribbler is always look to showcase new and exciting writers of all disciplines. Mail the editor on samwaysdean@hotmail.com for more information. How did this almost slip under The Scribbler radar? Gonzo: The Life and Work of Dr. Hunter S. Thompson, the celebrated documentary by Oscar-winning director Alex Gibney, is finally hitting UK cinemas on 19 December. Almost a year after the feature length documentary made its cinematic debut at the Sundance Film Festival British audiences will finally get to see Gibney’s uncanny account of gonzo journalism‘s forefather. The film addresses the major events that made Thompson such an influencial figure not just in literary circles but also political ones too. For example, his intense and ill-fated relationship with the Hell’s Angels, his near-successful bid for the office of sheriff in Aspen in 1970, the notorious story behind the landmark Fear and Loathing in Las Vegas, his deep involvement in Senator George McGovern’s 1972 presidential campaign, and much more. As an extra treat the entire motion picture is narrated by Johnny Depp. Naturally we will follow any developments on this, the most exciting film release of the year. 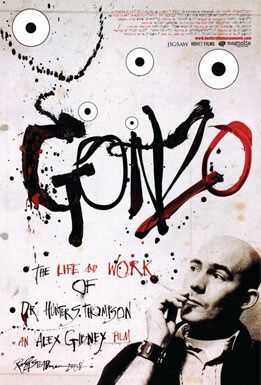 Keep it The Scribbler for the first review of Gonzo. Read Gonzo’s Sundance review right here. Are you looking forward to Gonzo? How many of you admire HST? Is he primarily a storyteller or journalist? Can his infamous subjectivity be used objectively? The comedy genius behind Father Ted, Irish writer and director Graham Linehan (blog) picked up an Emmy in New York this week for his Channel 4 show The IT Crowd (blog). Linehan is the writer and director of the hit comedy series. His previous successes include Black Books, starring Dylan Moran and Bill Bailey (blog). Linehan teamed up with Moran to pen the three series about a surly London bookshop owner. During it’s run Black Books won two BAFTAs for Best Situation Comedy in 2000 and 2005, and a Bronze Rose at The Festival Rose d’Or of Montreux in 2001. The 36th International Emmy awards gala was held on Monday night at New York’s Hilton Hotel. The winners were chosen from 40 nominees from 16 countries. These prestigious awards recognise excellence in TV programming produced outside the States. British broadcasting dominated the awards, while Argentina and Jordan celebrated their first Emmy victories. Argentine production Television Por La Identidad won the award for TV Movies or Mini-Series. It tells the story of the country’s ‘disappeared’ pregnant women from 1976 to 1983, and their resultant search for their children. British television won most other competitive categories topped off with gongs for David Suchet and Lucy Cohu who won the top acting honours. Suchet, best known for his role as Agatha Christie’s Poirot, won for his performance as the doom media mogul Robert Maxwell in the BBC’s Maxwell and Cohu collected her award for Forgiven, in which she played a suburban housewife who discovers her husband is sexually abusing their daughter. Britain’s take-home also included Best Drama Series for BBC show Life on Mars and the Arts Programming Emmy for Channel 4’s Strictly Bolshoi. Nick Park’s creation Shaun the Sheep won Best Children’s and Young People’s Programming while mountaineering disaster epic The Beckoning Silence was named Best Documentary. Click here to read The Guardian’s piece in praise of The IT Crowd. Are you fans of Linehan’s work? Is anyone out there working on a comedy script at them moment? 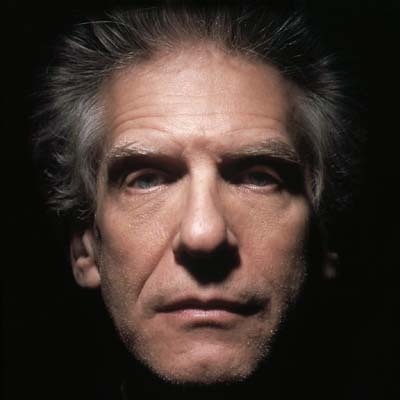 Acclaimed director David Cronenberg (Eastern Promises, A History of Violence) has been swamped with offers for his first novel which at the moment is only 60 pages long and lacks any definitive direction. Although he has been involved writing the screenplays of a number of his films, it will be the director’s first venture into the literary world. Never one to shy away from subjects of controversy Cronenberg will no doubt have something bloody and gutsy up his sleeve for his first book. There is no way of telling just how long it will take before the manuscript is published or even if it will make it to the shops, but rest assured The Scribbler will keep a close eye on developments.